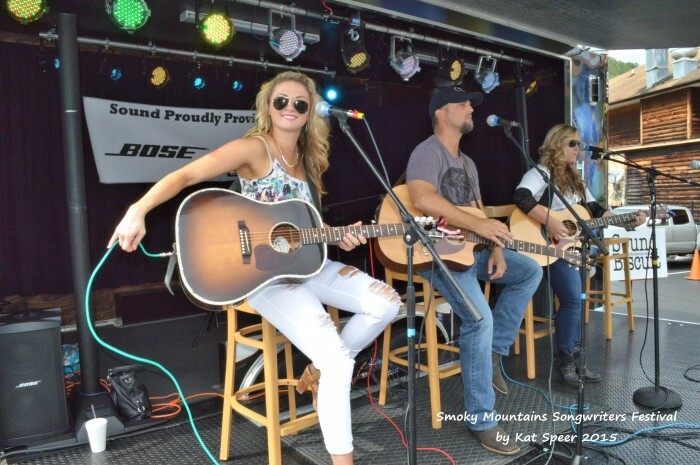 Gatlinburg bursts into song – and song writing – again for the 6th Annual Smoky Mountains Songwriters Festival, August 16-20, 2017. This year’s festival promises to be bigger than ever. There’s live music playing in several venues around town, with close to 50 acts offering over 150 free shows as well as 3 ticketed shows headlined this year by country artist Con Hunley. The heart of the festival is songwriting, and workshops and special events will feature more than two dozen hit songwriters from around the nation offering the stories behind the hits, and sharing the skills of their craft with other musicians and aspiring songwriters. There’s a song competition, as well as multiple chances to co-write with hit writers, mentoring sessions and stage spots. The Songwriters Festival has been a hit since it started, and has brought a lot of great talent to a town already well stocked with local musical and artistic talent. As the festival proclaims, this is the area where bluegrass, country and old time music originated. For more information, check the Smoky Mountains Songwriters Festival website and Facebook page. The timing is perfect this year as we have music all through the weekend leading up to the very special, Total Eclipse of the Sun that passes through the Smoky Mountains on Monday, August 21. Check our feature page for all the details: Total Eclipse 2017 in the Smoky Mountains. And it’s great time of year for Cabins at HALF-Price through this month – check our Half-Price weekends in August, as well as our Weeknight specials offering 4 nights for the price of 2, AND the Eclipse Special offering a 3rd night Free. It’s all on our Specials page: Special Deals on Gatlinburg Cabins in the Smoky Mountains.